WANT TO WRITE, PRODUCE & DIRECT? Want to make a Movie? Want to profit? Want to play Hollywood but still live (Atlanta, London, Kathmandu, Buenos Aires, Dubai, etc.) in your hometown? Thanks to digital technology, social media marketing and on-demand revenues. This is quite possible. Filmmaking is easy… Life is difficult. Actually I lied… Nothing is easy. Especially making profitable movies. Why? Because it also takes talent, which I can’t teach. Plus, it takes a work ethic, which I can’t teach. Further, it takes a thing called “God” to-like-you for whatever reason, which I can’t teach. 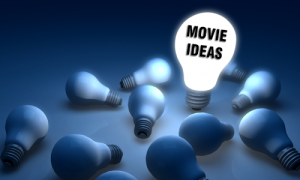 …Making a profitable movie is easy… just follow these 13 Steps. STEP 1: GET AN IDEA. Where do great ideas come from? Watching tv news, reading daily papers, listening to songs, viewing old movies, talking with friends, staring at lovers holding hands, watching children interact with adults, wondering “what ifs” or “how abouts”… Nobody knows but I’m sure that you are sure that yours is great. …if you have an idea and you tell it to someone then they can do it without you… for no one owns an idea. thus, the next step, after having a great idea, becomes writing a Treatment… for this becomes something that you own. STEP 2: WRITE A TREATMENT. A Treatment is a prose synopsis of your movie, which right now is merely a thought. Producers & Writers in Hollywood always say that a great story has three acts. ACT I. ACT II. ACT III. OK. So take your idea, which you don’t own, and put it on paper, in three Acts, and call it a Treatment…and, now you have something you own. To do this simply start with three blank sheets of paper. Call the first page…ACT I. Call the second sheet…ACT II. Call the third sheet…ACT III. A Treatment is written in prose with double spaced typing. Cool. This 3-page Treatment, with double spaced lines, now became only 1.5 pages of typing….You can handle this. Next allocate the bottom half of Page-3 for ACT III… and describe the ending. Correct, write ACT I first, then write ACT III. Then, once you have the Beginning & Ending you can now write ACT II. While writing ACT I, ACT II & ACT III if it becomes more than 3 pages… that is fine… 5 pages is better. 7 pages even better…but don’t ever bore the reader… And you now have, not an idea, but a tangible thing that you can own. Now let’s get proof of when it was created… to do this register it with the WGA (Writers Guild of America) for $25 and also copyright with the LOC (Library of Congress) for $45-$65. You now own something and have the proof (registration & copyright), the date(s), that you created it. Now lets flesh out your Treatment, which has 10-12 scenes, into a solid 40-50 scene blueprint of your story. STEP 3: DO A STEP OUTLINE. In industry terms this is plot a Beat Sheet. A Beat Sheet, done after you’ve written-registered your Treatment, is a 40-50 Scene-By-Scene roadmap of your story (aka: Blueprint) that details proper structure and format with your primary A-Story (aka: Primary Plot) taking 20-25 Scenes, with half of these scenes comprising the 11 Basic plot points called “Structure” of Introduction, Desire, Conflict, Detour, Crisis, Resolution, Detour, Crisis, Detour, Crisis (aka: Uh-Ohs & Oh-Shits) etc. along with a Back Story (aka: a scene) for each character and 3 B-Stories (aka: Sub-Plots) created from the A-Story, that take 6-8 scenes each and resolve themselves, while intertwined into the A-Story, with everything coming to a Crisis and Resolution 2-3 scenes, prior to the epilogue, that resolves the movie. Plot out 40-50 scenes by diagramming a Beat Sheet. A “Beat Sheet” is easy to do as I teach in 20-minutes in my Streaming or DVD Film Schools. Now, with a Beat Sheet as a blueprint you can write a screenplay. Procure the proper screenwriting software be it the most common “Final Draft 10.0” ($129-$289) or the free shareware “Celtx” and write your 1st Draft. Time for a 1st Draft is 3-4 weeks, with a 40-50 Scene Beat Sheet, by allocating 5-10 minutes/scene and writing 1 scene/day. Write 1 scene/day for 5-10 minutes that is 1.5-3.0 pages, typed (aka: formatted) properly, translates into having 10-15 pages within a week. …And the third week, writing 2-3 hours/day, based on your Beat Sheet, you finish your 1st draft. Voilla. 1st Draft written in less than 1-month. Now, CYA. Never forget CYA. Once again, register this Draft with the WGA ($25) and copyright it with the LOC ($45-65). Next, get 3-4 independent readers, paying them $65-$75 each, to write “COVERAGE” (2-3 page synopsis of your script) and re-write the 1st draft, focusing on character and dialogue, more than plot point and structure, and write your final draft. CYA. Once again, register your Final Draft with the WGA ($25) and copyright the script, once again, with the LOC ($45-65) and you now have a solid paper trail demonstrating the work you have done. Assuming, when you write, you have a gift of dialogue (aka: Good Ear) you now own a Great Script. Question: Do you want to sell this script or produce-direct this script? Then the next step is money… M-O-N-E-Y… but in order to get money… you first need a budget…. and to get a budget you need the cost for each of your package’s elements. Now, let’s think movie package and elements. STEP 5: CREATE A MOVIE PACKAGE. 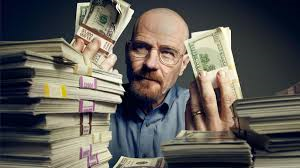 To your script attach the other Above-The-Line elements (Director and Actors) and all contracts, if a pay-to-play deal was used, to attract a bankable movie name, along with your great script. What did you pay for the script? If you wrote it then the cost is very little. If you hired someone to write it, after a Treatment & Beat Sheet, then issue becomes whether or not you signed (aka: “Signator”) with the Writers Guild. 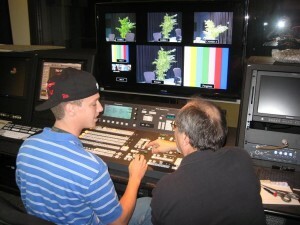 What are you paying for the director, if you are not directing? Again the issue is are you a “Signator” of the DGA. What are you paying actors? Extras? Atmosphere? 1-Day Hires? 3-Day Hires? 1-Week Hires? Stars? TV Names? Movie Names? Let’s budget for Below-The-Line, the Shoot, Post, Music & Lab costs. STEP 6: PREPARE A MOVIE BUDGET. An excellent source for software, text books and how-to dvds to budget is the Writers Store in Burbank, California. Armed with your resources to budget approach the project as if it is (1st) a Studio Feature, (2nd) an International Co-Production Feature and (3rd) a Micro-Budget Indy film. FIRST, budget as if this is a Mega- or Medium-Budget Studio Funded project, with Guilds & Unions, with a $10M-$20M, $20-30M, $30-50M or $100-$200M budget. SECOND, budget as if this is a Low-Budget Independent Films Financed via pre-sales at Cannes or AFM with a $2M-$3M, $3-5M, $5-7M or $7-10M budget. THIRD, budget as if this is a small personal film, with a Micro- or No-Budget, to be funded via Crowd Financing or a Private Placement with a budget of $50K-$500K. Now, while preparing your budget, you must know your schedule. STEP 7: PLAN A SHOOTING SCHEDULE. 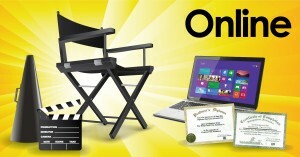 Is your movie a 1-week, 3-week, 1-month, 2-month shoot or 6-month shoot. How many locations? How many sets? Prepare a Production Board and plan a Shooting Schedule…but to do this you must guestimate your budget… Think Reverse-Scheduling and Back-Into-It. If No-Budget: You are a 1-week or even a weekend shoot. If Micro-Budget: You are a 2-3 week shoot. If Low-Budget: You are a 4-5 week shoot. If Medium-Budget: You are a 2-month shoot. If Mega-Budget: You are a 5-6 month shoot on 2-3 continents. STEP 8: HIRE A CREW. Do not get over-whelmed with 70-100 credits in a movie’s Rear Title Crawl; you the Producer-Director are only going to hire 4-5 Key People and they in turn each hire 3-7 people for your first feature film. Think hiring post production crew for edit, music, sound and lab, when low-budget to no-budget, after you have shot your film. The question you must ask yourself is, “Is your shoot a Union Shoot or Non-Union?”. If a Union Shoot (Union for crew is called “IATSE”) then get the rates from IATSE and fill in the numbers, but be sure to include over-time, meal-time, travel, penalties, etc. If Non-Union (you can still hire “IATSE” but are paying non-union wages) then you determine what you can afford. Once you have your Keys you then start thinking equipment. STEP 9: RENT YOUR EQUIPMENT. 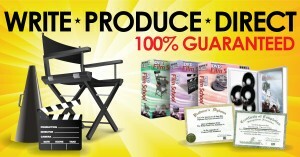 Do not buy equipment to make a movie. Because you likely will produce or direct one movie once every 2-3 years. Why buy? Especially when technology is changing so quickly. Let technology evolve, let others buy and then you rent the best, for a fraction of the price of buying and watching your equipment grow obsolete. And for all the trucks and equipment make sure you plan for parking availabilities at your locations. STEP 10: SECURE YOUR LOCATION. Read your script and do a LOCATION BREAKDOWN sheet listing the locations (3-5) and sets (7-10) you need to either build or secure. When renting locations (aka: practical sets) make sure (A) parking is available, (B) electricity is available, (C) photocopy stores are close and (D) you know where the closest police station, fire station and hospital are. If budget permits you might be able to afford a soundstage to rent and have the luxuary of building sets with moveable walls, with high ceilings for excellent lighting and a quiet & controllable atmosphere (turn the AC off) to record great sound. Always remember: Utilize your local film commissioner for 100s of locations (houses, restraunts, parks, schools, etc.) for they maintain a list of people and companies that desire to rent their property to those-movie-people… and you qualify as one of those-movie-people. Simultaneous to scouting you and your director are busy casting. Once casting is complete let’s get to rehearsal and shoot. STEP 11: REHEARSE & SHOOT. Your shoot, for your first feature film, is likely to be a 1-3 week shoot. If you are No-Budget (1-week shoot) you plan a shooting schedule of 9-10 pages/day. 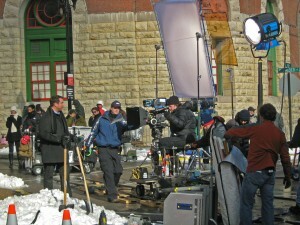 If you are Micro-Budget (2-3 week shoot) you plan a shooting schedule of 5-7 pages/day. If you are Low-Budget (4-5 week shoot) you plan a shooting schedule of 4-5 pages/day. If you are Medium Budget (2-month shoot) you plan a shooting schedule of 2-3 pages/day. 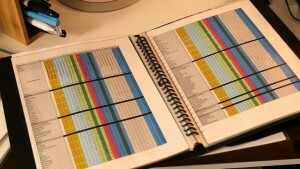 If you are a studio feature, with a Mega-Budget, you plan a shooting schedule of less than 1 page/day. For each shoot & schedule do the best you can to allow the actors, with the director, time to rehearse. And once the final shot is captured, say good bye to the cast & crew and prepare for the Edit. But be very careful when you get your “Martini Shot”. STEP 12: PLAN POST-PRODUCTION, EDIT & SCORE. Always remember when you get your final shot (USC Film School calls it “Martini Shot”) that you have $100K-$200K of equipment and thievery does exist. So make sure, when you get the “Martini Shot”, the PM (Production Manager) and PC (Production Coordinator) inventory everything, to include props and wardrobe, and nothing is Missing, Stolen or Damaged and readied for return to the rental facility. Voilla. Your film is finished. Now what and hopefuly you’ve kept a little money for marketing & film festivals. STEP 13: FESTIVALS, MARKETING & DISTRIBUTION. When midway into post-production (likely around Foley time) you start thinking about Film Festivals (which to attend) and Distributors (how to secure). Put aside $5,000-7,000 for marketing. Create a proper web site, a facebook page and start blogging to attract attention for your Festival premiere. Book a Film Festival… But it is important to know that Film Festivals are not free… They cost money. Plus 99.8% of the Film Festivals, for getting a distributor and/or selling your film, are useless. 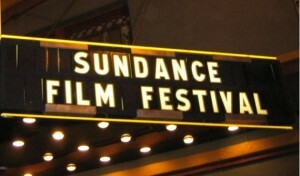 Today there are 3,000-5,000 Film Festivals. However, only 10-12 Film Festivals (Sundance, Cannes, Toronto, NY/Tribecca, Berlin, etc.) have merit. Because these 10-12 Film Festivals are where the buyers (Acquisition Executives for Distributors & Program Executives for Networks) attend. Your job as a filmmaker is get your film into a film festival that the top 40-50 buyers attend and to make sure that they “all” attend your screening. On later posts and in my Film School programs I detail Distributing, Selling, Profiting, Revenues, how to maximize them and how to create a franchise by producing Part II, III, IV, etc. of your movie. Think “SAW”, “SAW-2”, “SAW-3”, “SAW-4″…. Now let’s think money and profits (I told you it’s called “Show Business”). STEP 14: MOVIE MONEY and PROFITING. There are 32 IPRs (Intellectual Property Rights) connected with a feature film… IPR is a Hollywood way of saying a Revenue Stream… and for laymen talk a revenue stream is where you get money. Now you have to make-a-movie. When does a film become a movie? ANSWER: When it is in a movie theater charging admission? For when your film is in a movie theater, the cost is $10-$15, and your film is now a commodity… a movie with a value ($10-15) attached to it. Films have no value. Movies are worth $10-$15. Your distributor, obtained at a festival, will pay for the P&A (Prints & Ads), put it in theaters and then, after a weekend, announce the movie has grossed (Box Office Gross, Theatrical Revenue is an IPR), which is the term for what theater owners collect. Not Distributors collects. And definitely not Producers collect. England, Germany, France, Spain, Italy, etc. Hong Kong, Taiwan, Malaysia, Singapore, Indonesia, etc. Mexico, Brazil, Argentina, Peru, Chile, etc. (Q) MERCHANDISING, LICENSING, BRANDING, RETAILING, etc. (R-V) ? ? ? ? ? ? I think you’re getting the point. The key is make a film. Get it into a premium festival. While it’s good to know about how to bring your script into a full blown production, yet to get the money is the hardest part. No investor will back up a producer with no track record nor an executive producer who have had the opportunity to help fund projects. How do you go about getting these people? you can’t acquire any of the staff such as a DP, PM, PD, etc, if you don’t have seed money. It is tough to break through, why? Because this is a business and you are approaching it as if it’s an art form.